Pottery classes in NYC where you can visit a real ceramic studio, make your own pottery and learn how to make pottery. After my research I came up with the following ceramic studios in New York. This is a cool pottery studio in Brooklyn that offers Weekly Classes, Try Night and Private Lessons. Classes are for all skill levels and your can learn pottery wheel-throwing, hand-building and mold-making slip casting. Also they have Memberships for those who want to go further and start working on their own pottery projects. This pottery place is located inside a building in Manhattan. Here you can find a One Day Trial Course to make your own pottery. They also have hand-building and wheel classes focused on Japanese techniques. These courses are 4 - 6 weeks long. This is a place with tradition and history. They offer hand-building, wheel and mold making classes. When you pay for a class you have access to their Open Studio. 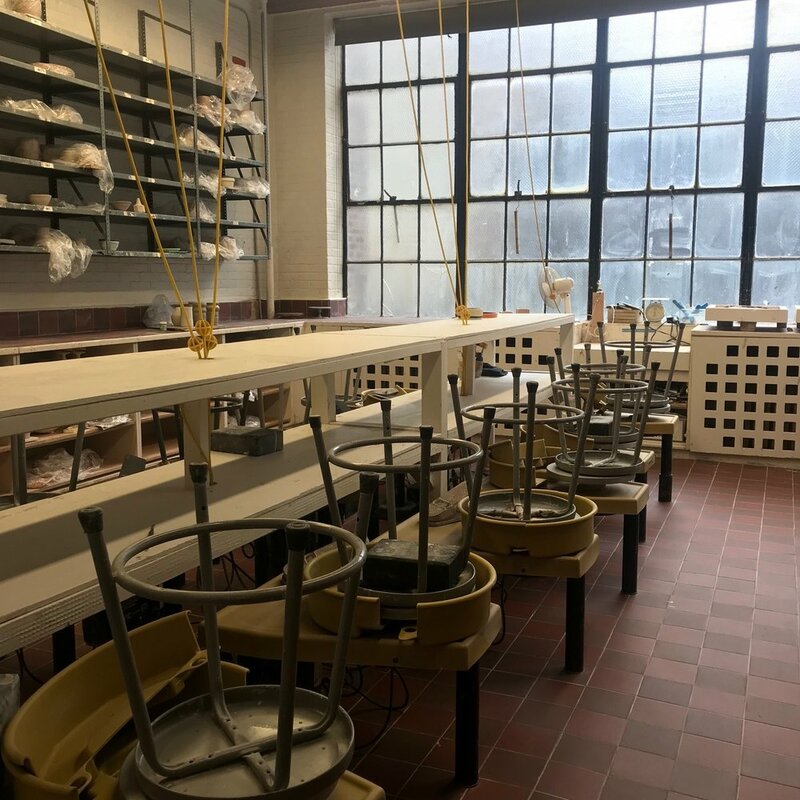 This pottery studio is equipped with hand-building classrooms, two throwing classrooms, a mold-making and slip casting studio, 28 wheels, two gas kilns, four electric kilns, two slab rollers, two clay mixers, three deairing pug mills, one extruder and a spray booth. 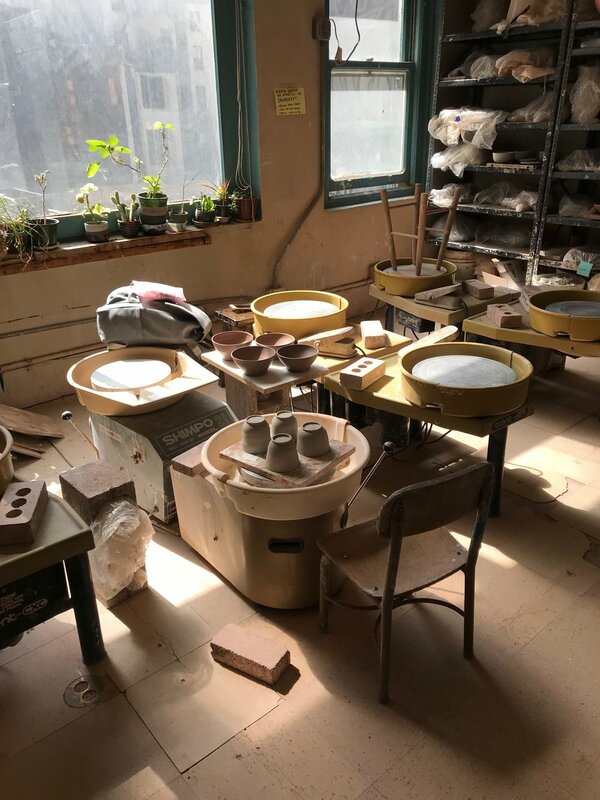 We offer seven clay bodies: porcelain casting slip, sculpture paperclay, white stoneware, throwing stoneware, sculpture stoneware, red earthenware and we sell grolleg porcelain for $22 per 25-pounds. We have a large selection of glazes (21 high temperature and 21 low temperature), slips and washes, and offer both high and low temperature firing (cone 04, cone 2, & cone 10).